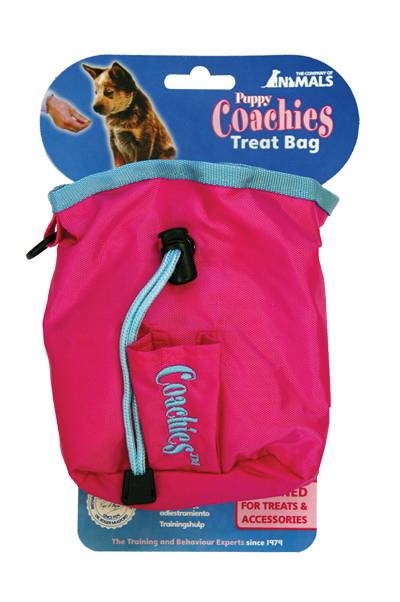 The Coachies™ Treat Bag is ideal for all reward-based training and can be attached to any belt or pocket. The bag has a drawstring to keep treats fresh and is made from washable fabric. Including clicker pouch, the Coachies™ Treat Bag can also be used as a holder for mobile phones and keys etc when out for a walk. The puppy treat bag is only available in stylish pink!